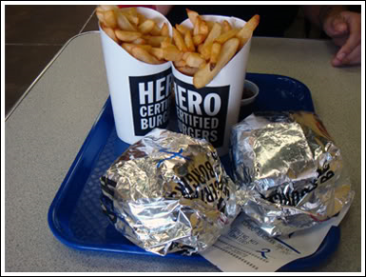 Waaaaaay back in September, when I dreamt up this whole idea, I decided to go for my 'first' burger at Hero Certified Burgers along Hwy 7 in Markham. I say 'first' because obvvvvvi this isn't my first time eating a burger. Why else would I have made this blog? It was a beautiful Summer day, no work, no school, I was beautifully tanned... those were the days! Prior to putting my blog into action, I asked a couple of friends as to which burger joints I should review, and Hero was one of the top requests. So I had to check it out! I got the 4 oz. burger, and my friend got the Wild Alaskan Salmon fillet sandwich. When it comes to burgers, I feel that the best way to judge it is with minimal condiments. 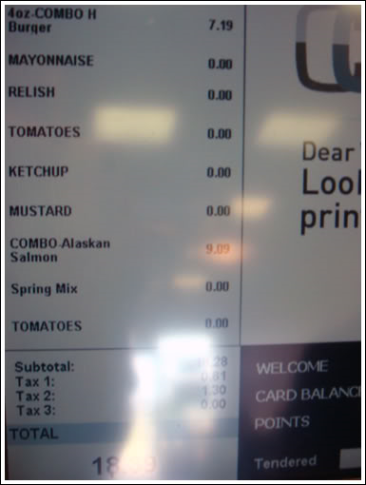 So although Hero had a wide variety of toppings, I opted for the classics: ketchup, mustard, tomatoes, relish and mayonnaise. The Wild Alaskan Salmon fillet sandwich. I did have a bite of this sandwich, and it was alright. A little dry. I'm not really a fan of fish sandwiches (except for McDonalds Fillet-O-Fish, yum...), so my opinion is kind of biased. 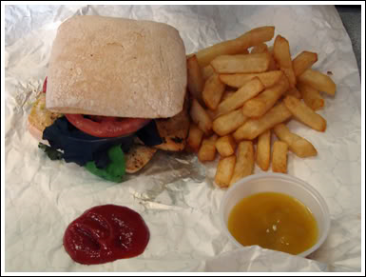 The fries, though, were delicious, especially with the creole mustard sauce! 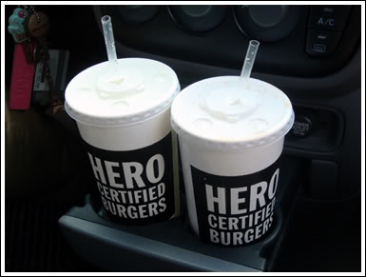 Hero Certified Burgers is fairly popular with business people from around the area, because it seems to be one of the only unique fast food choices from within the vicinity. Over all, this visit to Hero was alright. I mean, the burgers were good, but they weren't amazing. 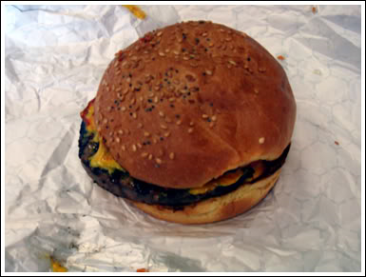 I've heard a lot of mixed reviews about this burger joint, so I had to clear it up for myself. Personally, I give Hero 3 out of 5 stilettos, because it didn't really live up to the hype of its reputation.